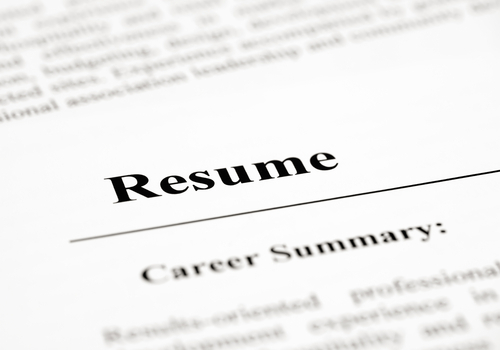 Most of us probably have never thought about the coprightability of our resumes or curriculum vitae. Most resumes are highly functional documents, i.e., we don’t write them for fun; and they are just an input into a more important output (like getting a job). They also tend to be highly factual (more on that in a moment). Still, some resumes have substantial literary components which should qualify for copyright protection; and even if not, the selection/arrangement/coordination of facts typically should qualify for a compilation copyright. Even if the resume is copyrightable, many of us want our resumes distributed far and wide–indeed, “shotgunning” resumes is a popular student sport–so using copyright to suppress its distribution would be counter-productive for most folks. But if someone didn’t want their resume circulated more widely, would copyright intercede? John Toothman does expert witnessing work (and, perhaps not surprisingly, is a lawyer). He was in discussions with Zurich Insurance about acting as an expert witness in one of their cases. However, before Toothman and Zurich finalized a deal for his services, Zurich designated him as its expert witness in the case and submitted his resume to opposing counsel and the court. Normally such a development is good news for the expert; once a litigant commits itself to designating an expert, the expert’s price tag ought to go up. Instead, the litigation resolved itself (the court isn’t clear how) before Toothman got a written contract, so Toothman got no payoff at all. Frustrated that Zurich got the litigation benefit of naming Toothman as an expert witness for free (see this page for more of Toothman’s perspectives on that issue), Toothman sought compensation in court. He sued Zurich for breach of contract, conversion and copyright. In a prior ruling, the court granted summary judgment to Zurich on the breach of contract and conversion claims. Devil’s Advocate, LLC v. Zurich American Ins. Co., 2014 WL 5161197 (E.D. Va. Oct. 10, 2014). In this ruling, Zurich wins the copyright claim on fair use grounds. defendant’s submission of Toothman’s resume in the Texas case was for the purpose of providing notice in a judicial proceeding, a purpose different from the resume’s intrinsic commercial purpose. Confusingly, under this factor, the court says that Zurich’s distribution of the resume didn’t harm the market for the resume; “It is hard to imagine there is any market for the resume.” Instead, submitting Toothman’s resume as part of an expert witness designation should produce additional business for Toothman (though it didn’t here). * Nature of the work. 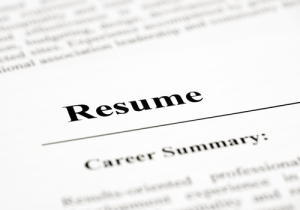 As we know, resumes should be factual, though I have seen many resumes spiked with fictional elements. Those remind me of the common Hollywood disclaimer, “based on a true story.” In court, resume-authors can’t admit any fictional components of their resumes to get extra credit in the fair use test, so this factor should always favor the defendants in resume-copyright cases. * Amount taken. Although Zurich copied 100% of the resume, it did so to advance the judicial proceedings. I wonder under what circumstances a partial resume would help anyone? Or, like a photograph, do you almost always have to see the whole thing? * Market effect. The court repeats its finding from the first factor. Having manipulated all four fair use factors to support Zurich, the court says Zurich wins. I’m blogging this case because I see it as another variation of the right to be forgotten effort. In effect, Toothman was trying to get Zurich to stop talking about him by asserting the resume copyright. Toothman just wanted to get paid for the litigation benefit Zurich got by designating him as an expert. But the copyright in the resume is, at best, a very indirect way to redress that concern. I’ve mentioned recently that we’re increasingly seeing copyright deployed as a tool to achieve online erasure similar to Europe’s right to be forgotten. Had this case succeeded, we’d see even more plaintiffs asserting copyrights in their resumes so they can claim copyright infringement when others republish pieces (maybe even “facts”) drawn from that resume. Because the fair use analysis turned on the specific attributes of this case, we might still see more cases in that genre. I expect this will be the last fair use ruling we blog this year, so let me summarize by saying 2014 has been a terrific year for fair use. Standout rulings include the Author’s Guild v. HathiTrust (and if you include Dec. 2013, the Author’s Guild v. Google ruling), Fox News v. TV Eyes, White v. Westlaw and Swatch v. Bloomberg rulings; plus another Dec. 2013 ruling, the American Institute of Physics v. Winstead ruling. Other rulings we’ve mentioned this year include Denison v Larkin (copying blog posts in disciplinary proceeding); Katz v. Chevaldina (blogger can republish image of person they are criticizing); Dhillon v. Does 1-10 (same); Hoge v. Schmalfeldt (republication of blog comments); Caner v. Autry (posting video to critique speaker’s remarks); Leveyfilms v. Fox Sports (product shot). It would be great if someone did a “top 10 fair use rulings of 2014” post. I’m going to be working all break, mostly grading final exams and crying a lot. So I expect there will be more posts before the end of the year. Nevertheless, as many people will start holiday breaks shortly, I’ll take this opportunity to wish you a happy holidays and a happy new year. 2014 has been a tough year for me professionally and personally, but your continued support of the blog remains a bright spot, and I thank you. Case citation: Devil’s Advocate LLC v. Zurich American Insurance Co., 1:13-cv-1246 (E.D. Va. Dec. 16, 2014).